Waking up at 7am and the sun was shining right into my dorm, making shadows from the conifers outside. The sky was almost cloudless and with bearly a breeze in the air, I knew it was going to be a very warm day. Satisfied with my previous Warm Showers experience, I had contacted Anders from Halmstad to see if he had space for a fellow cyclist. 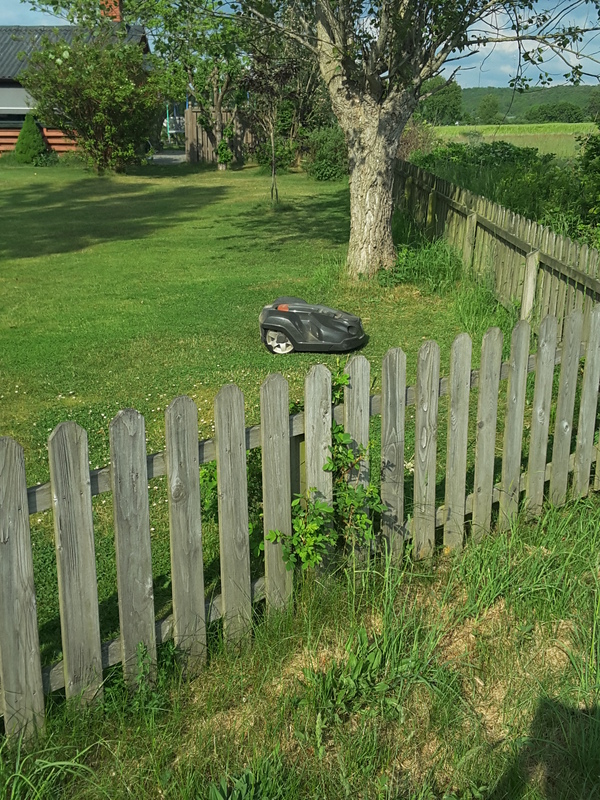 Alas, this time less lucky as he was busy. I didn’t know this but Sweden celebrates Mother’s day on the last Sunday of May, a traditional started in 1919, following America. However I could see there were campsite’s in Halmstad so this wasn’t much of a problem. It was my first Sunday though on the trip so I was intrigued how Swedens culture would be. On a previous cycling holiday in France, as well as shops closing on weekdays for lunch, on Sunday it is near impossible to find any shops open to buy food. As I rode out of Asa,I could see a Co-op open so took my oputunity whilst I could and bought some food for the day ahead. 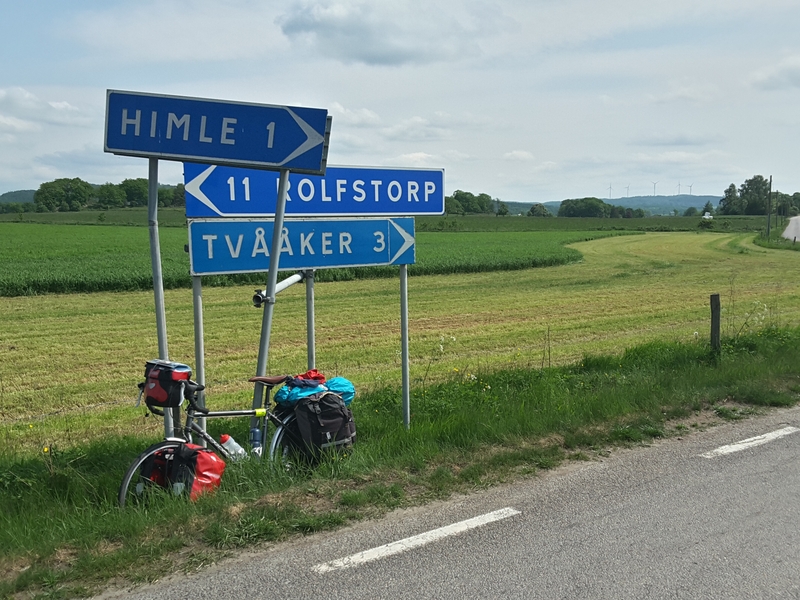 Nearer the Danish boarder, I try to avoid getting any money out of a ATM as I knew I will be left with it, as Denmark have different Kroners to Sweden and Norway. I still haven’t really worked out whether paying by card is cheaper than getting cash out. My bank takes a flat rate of £2 for cash back and just over 2% when paying by card. So for smaller transactions I normally go for cards, but still not 100% sure it its cheaper! Anyway, cycle touring can be done on a tight budget, I think! Sweden has been a pioneer in renewable technology, investing in it since the 1970s oil crisis. They reached their own target, to have 50% of their electricity from renewables in 2012, eight years ahead of target. 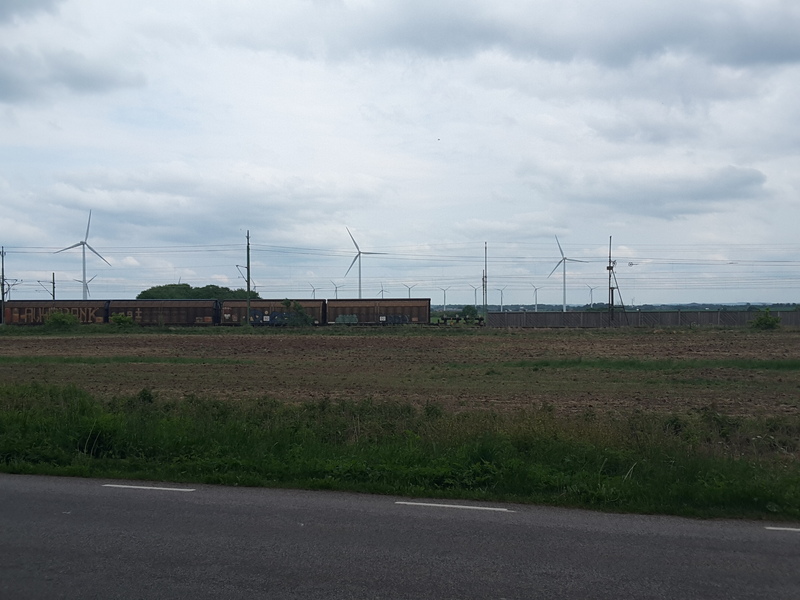 This is easily seen as I cycled through the countryside, with many wind turbines dotted along the landscape. As it approached lunch time, I sat and ate my sandwich with feta and peppers (becoming a regular now!) and watched a large wind farm, just beyond a train line. A perfect example of a sustainable culture! I’m sure their solar panels were doing well today, as the sky was still cloudless, and it was now nearing 28°C, the hottest it has been so far. Three coatings of sun cream and I was still getting burnt. had imagined Scandinavia to be cool, and bought a extra warm sleeping bag to cope, but I had been proved wrong. I am a bit unsure of cycling in Spain now though, if it is this hot already in Sweden, what will it be further south! It was Sunday, everybody seemed to be out and enjoying the sun. Walkers, cyclists, sailors and even people on roller blades with poles to push themselfs along, must be practicing for the skiing season to begin! As I was taken a break, looking over my maps, it was one of these Sunday goers who stopped and asked me whether I was lost. 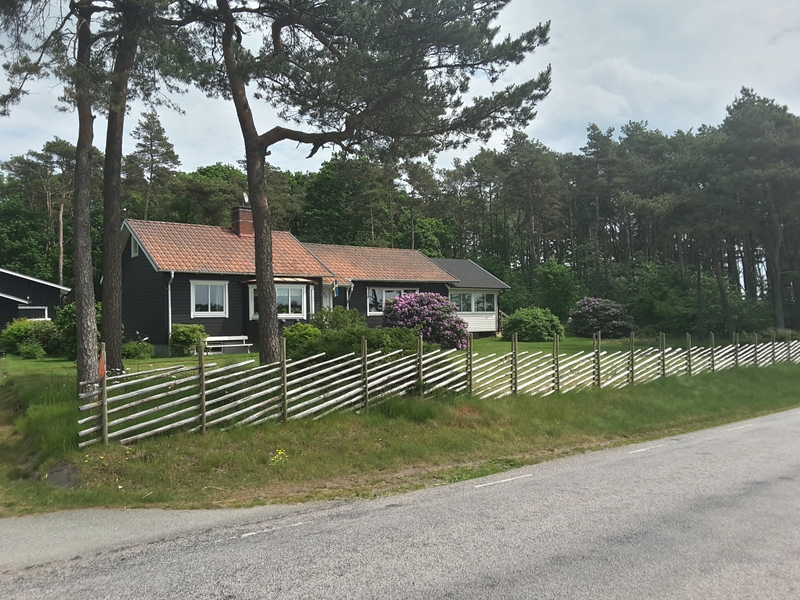 I wasn’t but he still suggested a good campsite to try, just outside Halmstad near Tyløsands. Apparently the Swedish version of Ibiza! 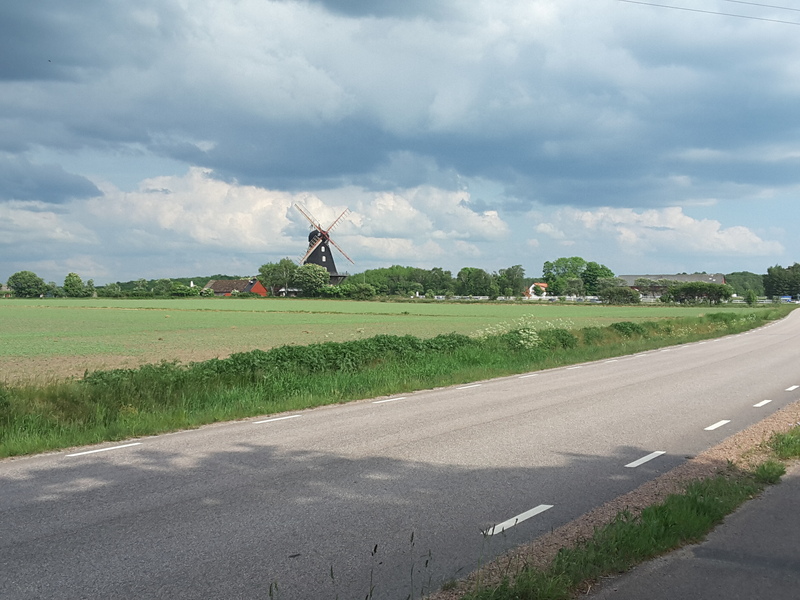 It was still 28°C as I approached the outskirts of Halmstad. This was where I had to get to today, in order to be able to reach the ferry to Denmark tomorrow. It was nearly 6pm, and although mini Ibiza was still busy with tourists, the first campsite reception I came to was closed and no one about. I had seen another campsite nearby on the map so headed over to that one, hoping for a better result. After a few taps on the door and ringing the mobile number given, I still had no luck. I had finished all of my water, I was rather sunburnt and didn’t fancy my first wild camping experience here, especially as I needed a shower! In despair, I rested my weary legs against my bike, and decided it was time to eat the apple that had been lying at the bottom of my panniers for the whole trip. Although it was rather bruised, it seemed to help. Ten minutes had past, and after a few possibilities had past through my head, like carrying on cycling through the night, I decided to head back to the original campsite. A handy passer-by gave me a number to call. After a lengthy chat to a online booking centre, I was in the campsite and was given a code to get my key. 70 miles in my legs, the longest and hottest day so far, as I settles down in my sleeping bag, I went straight to a well deserved sleep. You’d get on well with my cousin who is constantly cycling, takes part in the tour de France every year, he also travels a hell of a lot. Unfortunately my legs do not allow me to travel such great distances these days, they’re knackered reading your exploits lol. Well done, enjoy the reading so keep it coming. Haha thanks miniontour! Wow your cousin must be keen! Does he ride the etape de France sportive or the professional race?